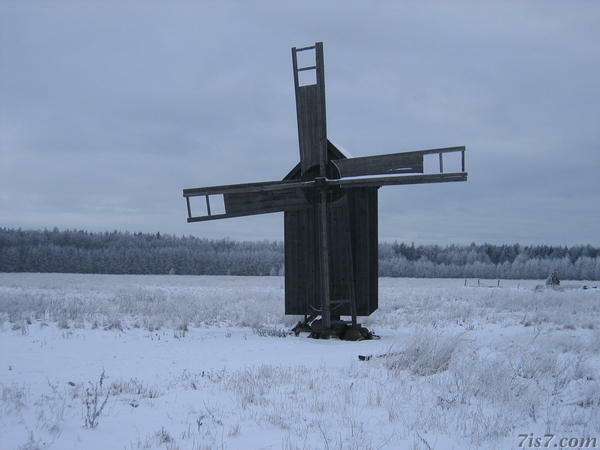 A lonesome wooden windmill in Wormsi in winter. Rälby windmill in the snow. Location: 59°0'43"N 23°17'1"E on: Google Maps, OpenStreetMap, Maa Amet.